The eagles group is an advanced level and one step before the English Speakers level. In this level pupils are required to practice their speaking fluency and self-expression in English. 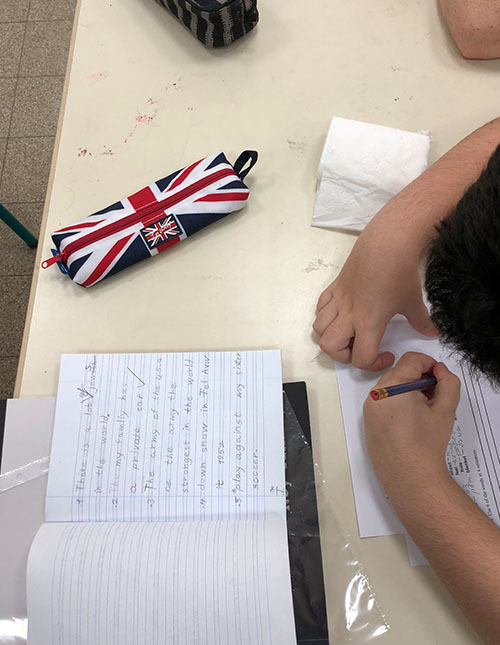 The teachers speak in English most of the lessons and the pupils gain the confidence to follow and reply to the teachers in English and also have speaking activities with their classmates. Pupils are working on their writing skills and advancing their grammar and vocabulary in their written stories. A higher level of vocabulary is applied in their "unseens" and it is important to repeat and apply the new words and use them in real life experience. Pupils are taught to write more thoroughly using interesting and creative topics and proper grammar. The eagles are expected to feel more confident in the language and express themselves in English. The vocabulary is more advanced and we apply it through creative and fun activities. Pupils learn to read more advanced unseens and improve their vocabulary. The stories have interesting themes. 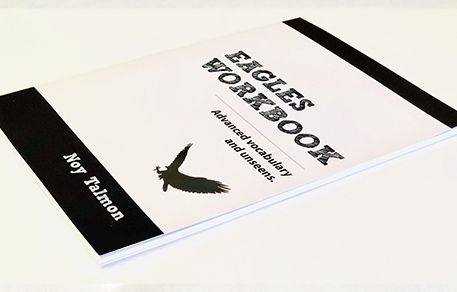 The eagles' textbook is more advanced and prepares pupils to the challenges in the English Speakers level. Each unseen has an interesting topic that pupils discuss in class. There are new and advanced vocabulary and high levels of grammar.